The Drake YolanDa Award will provide a platform for young artists to both showcase their talent and gain the means for taking the next steps to launch their career. In 2019, 10 promising artists will be awarded £3000 in total. The prize money is intended for supporting their artistic development, touring, recording new music, music videos, marketing, branding and purchasing new equipment. 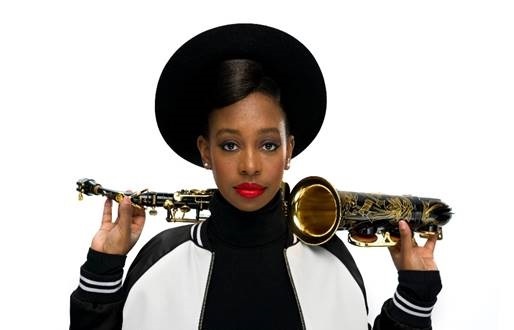 Celebrating the rich and diverse UK music scene, The Drake YolanDa Award welcomes applicants from all genres, ranging from pop to indie, jazz to soul, grime, folk and so on. This prize aims to break the glass ceilings with its ethos of nurturing young talent coming from a variety of different backgrounds. “I don't need to wait to be a multi-millionaire to give back. We are incredibly excited to be launching The Drake YolanDa Award and being able to support some of the most brilliant new talent the UK has to offer. James and I strongly believe that money should not be an obstacle to pursuing your dreams and we want to provide a platform that will hopefully become the beginning for many success stories”. YolanDa Brown. “This is an innovative and exciting award that will help launch the careers of our next generation of undiscovered stars. It’s all about giving talented musicians a boost at the time when they need it the most. I’ve been helping classical musicians for the last few years, and it’s wonderful to give the same opportunities to all musicians, whatever their instrument, style or genre.” James Drake.